While modern high-rise apartment developments are a popular option for Sydney residents, something is missing from the housing market. While modern high-rise apartment developments are a popular option for Sydney residents, something is missing from the housing market. In 2016, the NSW Department of Planning and Environment released a discussion paper outlining what is now commonly known as the ‘missing middle’ of Sydney property developments. 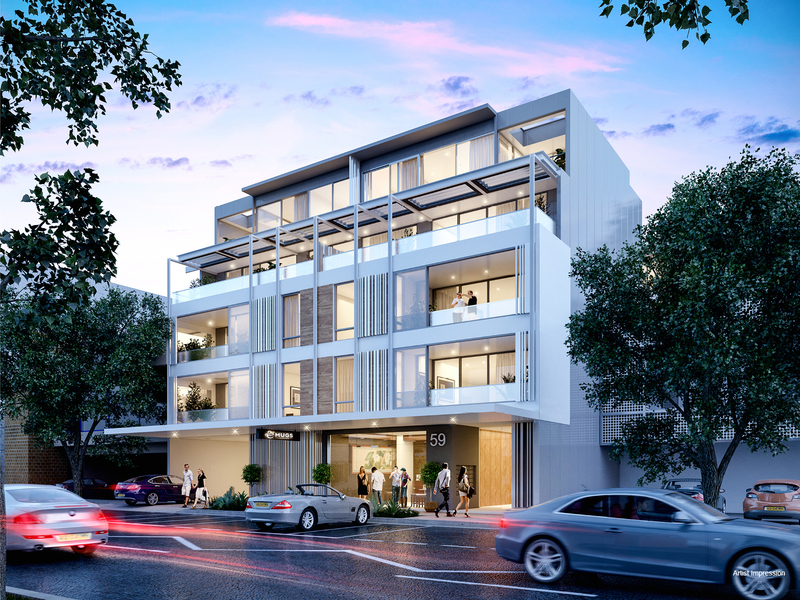 To combat the lack of low-rise medium density housing, two Sydney architectural studios have recently obtained licences to develop off-the-plan apartments modelled on the Nightingale project. Originating from Melbourne, the Nightingale model belongs to Breathe Architecture and is driven by a desire to create sustainable, eco-friendly residential apartments that address the missing middle of the housing market. Once the developments are launched, the innovative designs will likely excite potential Sydney home owners and fill the gap between terraced houses and high-rise apartments. The Nightingale projects will be environmentally friendly and sustainable with a strong focus on community lifestyles, all while addressing the ‘missing middle'. The first ever development, The Commons on Florence Street in Melbourne, was overwhelmingly successful. There are now 12 more projects slated for release in Brisbane, Hobart and Fremantle, and NSW. The low-rise, medium-density buildings feature recycled timber for the floor, brass light fittings instead of energy-intensive aluminium, and all the fixtures are locally manufactured using eco-friendly materials. The building draws most of its energy from the rooftop solar panels. The Sydney studios recognise the importance of community and will apply the Nightingale contract to ensure residents have the opportunity to connect with one another. The contract stipulates each apartment will have a private veggie patch, and all projects will feature a rooftop garden with vegetables and fruit, where owners can note on a blackboard what produce is ready for harvest. With impeccable interior designs, the Nightingale developments are the product of an intelligent pool of resources. It would be easy to assume that the projects suffer in aesthetics due to a keen focus on recyclables and sustainability, but the opposite is true. The developments exude an ultra-modern and chic converted-warehouse vibe — on-trend in Sydney currently — and the community of residents is healthy and vibrant. While waiting for Nightingale developments to take over Sydney’s missing middle, there are other developers pursuing low-rise, medium-density houses. The Niche in Cremorne is a boutique building of only 24 residences, produced by the renowned North Shore developers, Platino Properties. The stylish interiors are perfect for comfortable living and have been meticulously designed to meet owner needs. In Drummoyne, Trésor — treasure in French — is a small, exclusive development of 14 luxury residences. These oversized, individually crafted homes feature an abundance of storage, spacious entertaining terraces, and light-filled interiors. The introduction of Nightingale housing in Sydney will undoubtedly boost excitement in the market and drive more construction of similar developments. In the future, hopefully, there will be more options for owner-occupiers buying off-the-plan. Sign up to the mailing list to receive news about other treasures premiering in Sydney.